First of all, this review is biased. Not because I know the author, I don’t, but because I was going through a terrible period in my life, I was virtually living in the hospital as someone I love was very, very sick when I picked up The Artist’s Masquerade. I enjoyed The Prince’s Consort and I knew what to expect stylistically this time around so I actively sought this book out. And it delivered everything I needed at a difficult time. Bear this in mind with my review and rating. I am grateful to both Cathal and Flavia/n (and co) and to the author, Antonia Aquilante, so it gets 5 stars. I’ll be honest and say there are a couple of reasons I might have marked it down – only slightly – but that’s not happening because this book saved my sanity. How much is that worth? A hell of a lot of stars. Cathal is the cousin to the Prince of Tournai, Prince Phillip. His father is the very picture of a man about duty. Duty to Tournai. Duty to his old-fashioned beliefs. Duty over love. Since his nephew, Crown Prince Phillip, married his male consort, Amory, he feels his oldest son has to pick up the slack. The duke has organised for Cathal to marry Lady Velia, a cousin to the emperor of Ardunn. Ardunn is an aggressive nation, one which is keen on advancing its own borders, and Cathal’s father has bypassed protocol by not consulting Prince Phillip before arranging the marriage. Cathal is gobsmacked that his father didn’t discuss the marriage with him, let alone the prince. However, he wants to do the right thing by his austere, domineering father and makes no waves. Compounding this problem is the fact that Cathal supported his father at the time things became tense when Phillip married Amory. It strained the relationship between two men who had previously been so close. The Artist’s Masquerade has several threads, the arranged marriage of Cathal to Velia. Why the duke has arranged a marriage for his son to a woman from a country known for it’s homophobic laws – when Crown Prince Phillip is gay and married to a man. Not to mention Ardunn’s war-like ways. No one has seen the negotiated marriage contract. Could there be something to gain for the duke? If so, that’s treason. It’s bad enough that Ardunn has been attempting to spy on Tournai without this arranged marriage that is now a diplomatic issue not easily nullified. Then there’s Cathal’s growing attraction to the somewhat less socially adept Lady Flavia, the companion of Lady Velia. 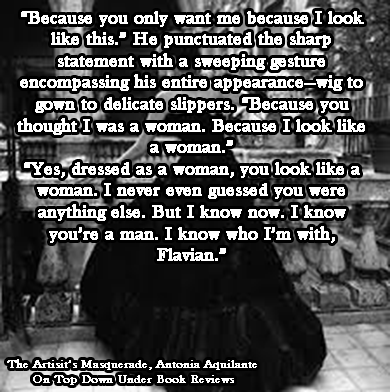 You know from the blurb that Flavia is Flavian, a man masquerading as a woman. Velia helped him escape with her small travelling party because she’s a friend and Flavian is gay in a country where it’s unsafe to be so, amongst other things. While Flavian is supposed to disembark from the ship in Tournai and take his leave, Elodie, the prince’s sister, has more hospitable ideas in mind. So Flavian becomes trapped in dresses, makeup, and the charade. If he leaves once he’s at the palace, it would draw undue attention. He was anxious enough without thinking too much about his disguise. Because it was important that it be foolproof for one more day. Just that day, and it would be done. He focused instead on the coastline of Tournai, not as the place where his new life would begin, but as the subject of a painting. It would make an excellent painting. Cathal is a man with a strong sense of duty to Tournai and to his father, even if marrying someone he doesn’t love is now going to occur. Cathal is at risk of turning into his father, being more stern, taking on the role of believing country and duty override any personal desires or wishes. 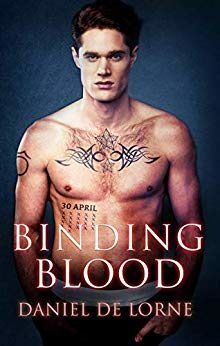 One of Cathal’s brothers, the wonderful Etan, has just learned that Tristan, Amory’s good friend and someone Etan has had his heart set on, is marrying a woman – another attempting to make his own father happy. He wants Cathal to follow his heart. He hates to see his brother so unhappy and becoming rigid. He believes he should seize an opportunity when it presents itself, not marry for duty and perhaps miss out on something, someone important. While Velia is gladly taken under the (very) social wing of Elodie, Cathal finds himself increasingly watching Lady Flavia and her unusual manner. Finding himself drawn to her. For a while Cathal doesn’t know Flavia is Flavian and I thought Cathal was straight, which worried me about this being a GFY. It isn’t. It’s established well that Cathal is bisexual and when he discovers Lady Flavia is Flavian, while taken aback, it makes no difference to him, he’s simply attracted to the person, which I very much liked. It also allowed for a rather sensual first sexual encounter. Flavian left Ardunn with intentions of starting a new life. To be free to love a man, if he can. To become an artist as well. The minute he sees Tournai he feels a sense of connection with its beauty. Being at the palace, while clearly complicated, does allow him an opportunity to see art in many forms and gives him inspiration to draw in the gardens and in other beautiful rooms. He has feelings for the handsome Cathal but he doesn’t want to do anything to draw attention. He doesn’t want to go behind Velia’s back with her ‘betrothed’. The more different and enigmatic Lady Flavia seems, the more Cathal’s is drawn in that direction. There is never any connection between Velia and Cathal, Velia preferring Elodie’s company, parties, or sightseeing around Tournai, and Flavian can’t help but become involved with Cathal as their connection intensifies. Flavian grapples with believing that Cathal desires him and not the fantasy of the man pretending to be a woman in a dress. No court gossip suggests Cathal to be anything but straight, so Flavian believes Cathal has become confused. Even when they are making love, and it is always love making in this series, Flavian grapples with believing they can be together. It certainly seems like it could be impossible given the diplomatic sensitivities of the arranged and contracted marriage. Cathal seeks to allay Flavian’s fears while unsure how he can be with Flavian permanently, just like Phillip and Amory are. This series also has a paranormal and preternatural component to it, there are Talents in Tournai and Flavian’s art has more kick to it than just looking good. That is never a big part of the book but, still, it is part of the series. For those who are worried, there is no mpreg in this book and it can be read as a standalone. I think it’s nice to get to know Phillip and Amory in book #1, even a bit more about Cathal, but there is absolutely no need to do that if you simply want to read this book. Cathal was an extremely gallant and charming lead. I honestly didn’t think that could happen but I was proved completely wrong – I really enjoy it when a writer can do that. How I loved Cathal. Flavian was a surprising partner for him. More carefree and a good way to draw out the best, and the naughty, in the reserved Cathal. I don’t know what I was expecting, it wasn’t this pairing, but it really worked. The Chronicles of Tournai is a loving, kind, relaxing alt-historical/fantasy series that has taken me by complete surprise. I usually like them darker and grittier, yet I’ll freely admit that I am totally addicted. I can’t wait to leave the outside world for a while to spend some time with the nice guys who live in Tournai. Prince Phillip, Amory – and baby Julian – are in the book quite a bit without overpowering the new couple. They were like old friends and I was delighted to see them happy, healthy, and supportive of Cathal and Flavian. 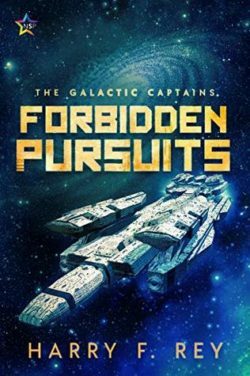 I cannot begin to tell you how much I’m looking forward to Etan and Tristan’s book, which I think is next. Bring it on! 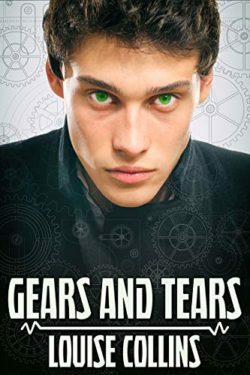 If you like gay romance reading that is heavier on the romance – great kissing – with a little steam, although this book was definitely more steamy than the first, if you like alt-historical reading that is fantasy, then this is a delightfully gentle, wonderfully escapist series. 5 Stars! I know how much you enjoy this series and I also know how you picked it up at the perfect time. I have three books I always go back to when I need an escape. Sanity saver. I loved this book. I am so thankful to this book and it’s characters. It’s so sweet and romantic. I am hooked on this series and world.